The Lake Parsippany Model Yacht Club was officially formed in March 2017. How do I join LPMYC? If you are a member of the LPPOA, and have an up-to-date badge, you can join. Just contact us and we will add you to our roster and email list. There is no additional fee for joining the Model Yacht Club. If you want to park at the beach while you sail you will need a valid LPPOA parking tag too. Does LPMYC have club meetings? We don't meet except to sail, normally at Johnson Beach. We normally sail one or two times a week, weather permitting. We text and/or email each other to coordinate sailing times. Are the any restrictions on the type of boats used by LPMYC? Any size radio controlled model sailboat is OK. Just no motors. We are a model sailboat club only. 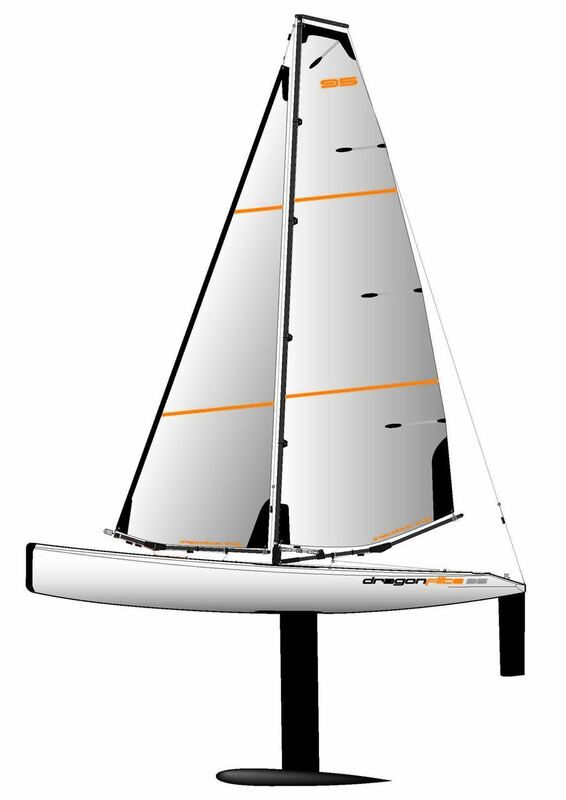 A new radio controlled sailboat will cost from $200 for a DF65 to $380 for the larger DF95 complete with radio and sails. These two Dragon Force, DF65 and DF95, are rapidly becoming the standard for newly formed clubs. These model yachts are both affordable and available online. If you can afford the DF95, we recommend it over the DF65 for our lake. Buy them online. Search for Dragon Force DF95. Standard ground shipping normally takes a week or two. Are they difficult to assemble? Just follow the instructions. If you get stuck, other club members can help you. You just need to ask. How far will my new radio work? Modern radio control systems will work over large distances. As least as far as you can see you boat. If you can see it, the radio will still work. Don’t worry if you haven’t sailed before, or don’t have a boat of your own. We can help you get started. 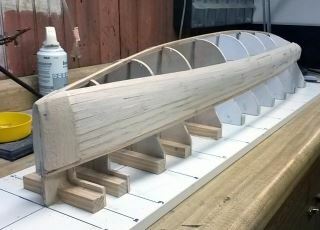 Can I build my own boat? Yes, some of our members like to build. Just ask. They can explain how and what they have already done. 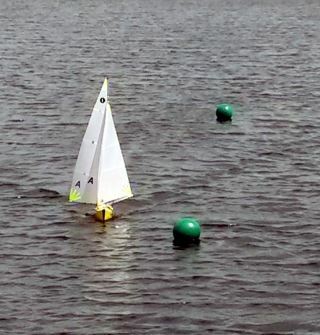 How are the conditions on the lake for small radio controlled sailboats? 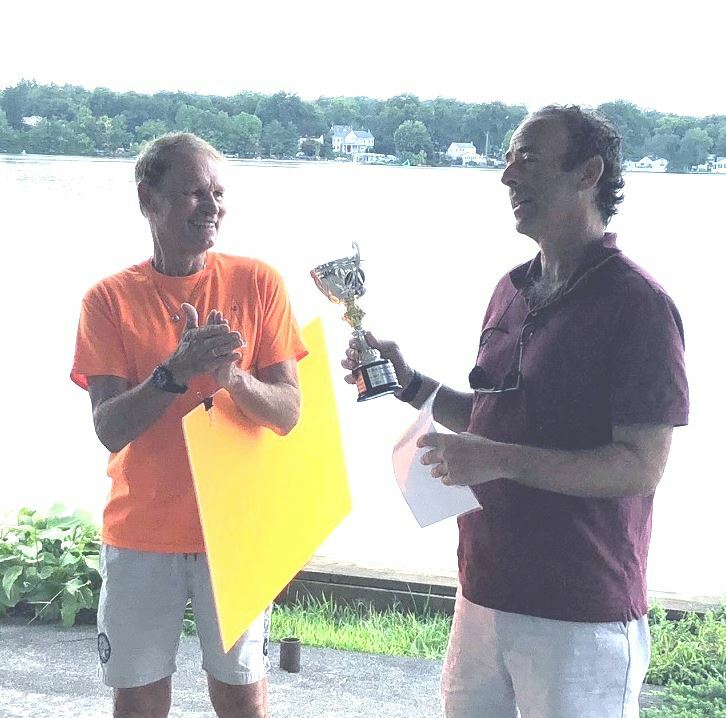 LPMYC hosted its third Annual Regatta Invitational August 25th. The weather was great, but we had an unusually calm day. Despite the calm conditions, the Regatta was a great success due to the support and help we received from other Lake Parsippany clubs. We want to thank the Ladies Club for providing another great lunch for the Skippers. Also, this year, Lainie McDonnell, Don Phelps and his son from the Kayak Club helped on the water. They helped set and move buoys. They also rescued boats needing assistance. John Tucker, who was Commodore and 50 year member of the Central Park Yacht Club, came from Manhattan to presided over our Regatta. We had a good turn out this year. More than doubling our ranks since last year. Seventeen (17) skippers from Rhode Island to Virginia came to our Regatta. We sailed a total of 12 races from 10 am until 4 pm. Jon Elmaleh, a World Champion from Brooklyn, NY, retook the First Place Cup from Michel who won last year. All of the visiting skippers commented how lucky the LPMYC is to have such a great place to sail.